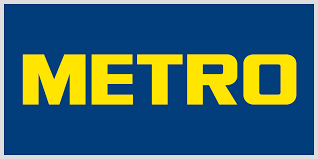 The aim of the project Trees instead of leaflets is to motivate registered customers of METRO, so they subscribe to online version. Saved costs will then be invested into projects linked to outplanting and revitalization of greenery all over the Slovakia. “We are the seller of quick selling stuff, but we are interested in creating values, which last. Whether in form of prosperous entrepreneurs, who can grow by our side, or in form of nicer towns, municipalities and regions, which we help to improve with the aid of our customers. I am glad that we found in The Ekopolis foundation such an exalted partner, who helps to bring this vision to life,” speaks CEO of METRO SR Jan Žák. “Supported projects were created thanks to the initiative of local people, whereby in each case we talk about tree plantation but not just about it. A new natural teaching room will be created in Banská Bystrica and an educational trail in Prievidza. As exceptional in this year we consider projects about green plantation in the garden of the reeducation centre in Bankovo near Košice, where the project will be realized by clients of the centre. We are also happy from the support of the interactive garden for students with vision disability in the part of Bratislava called Karlova Ves. Both project are connected by the effort to bring closer natural elements to people from specific target groups, whereby the aim is also to integrate them to the process of the realization,” said Milan Hrones, program manager of The Ekopolis foundation. The main idea of the project by the boarding school for students with vision disability in Karlova Ves is to build a garden with interactive garden items in the area of the school for kids with vision disability. This garden should connect people from healthy population with kids with health handicap and burn bridges and prejudices about differences. In the city park in Prievidza there will be created an educational nature trail with information boards near replanted woody plants and there will be also renewed vegetation on the bank of the nearest pond and on the bank of the river Nitra. The goal of the project by the private primary school in Banská Bystrica is to convert unused and abandoned parcel into natural teaching room and by that to create a place for joy and creativity. It will be a combination of grove, garden and relaxation place. Reeducation centre in Košice-Bankov is a boarding type of facility with the primary school for kids from 12 years and with the apprentice training centre for students with mental disability oriented to professions like florist, fruit farmer, green-grocer, grove farmer. Within supported project there will be plantation and irrigation system plus composter built by volunteers. 0911 452 457, 048 / 470 10 95, hronec@ekopolis.sk.